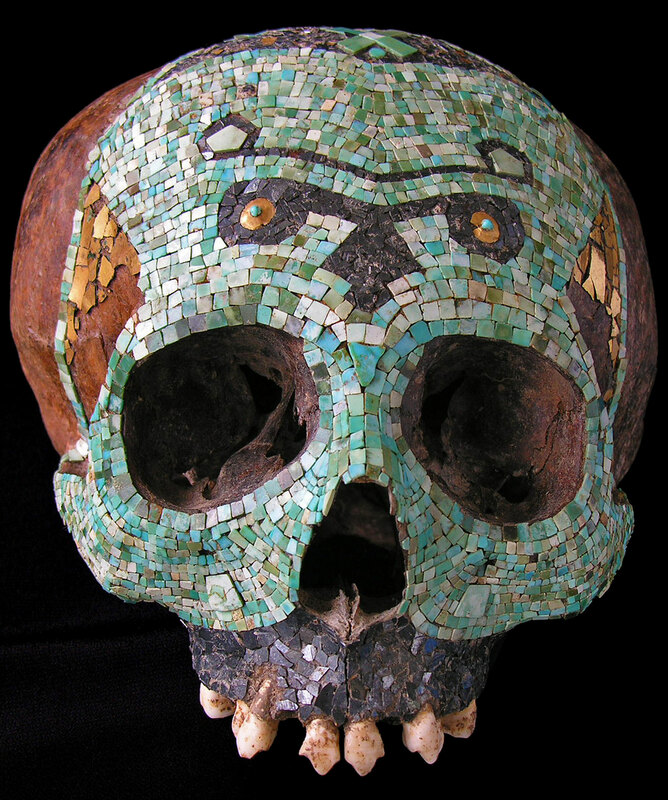 The scan study of this extremely rare Aztec human skull decorated with turquoise tesserae shows that it was buried soon after death, because the ears bones were still in place when the soil filled the natural cavities of the skull. It also reveals damage to the bone, some mended by the restorer. Age at death can be determined by close observation of the teeth. 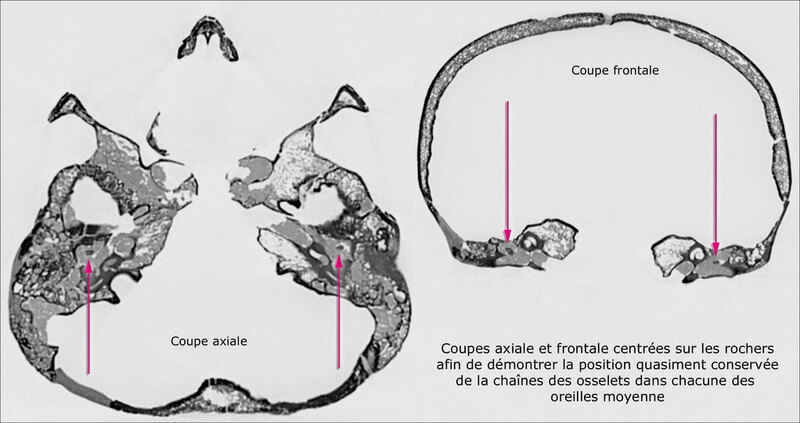 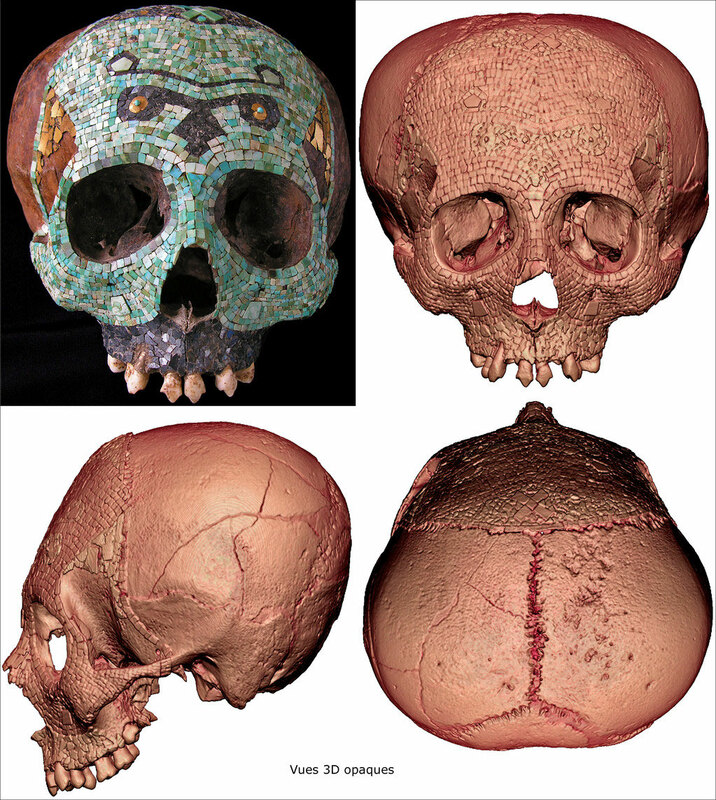 Three perpendicular 3D opaque VRT static views of this brachycephalic skull. 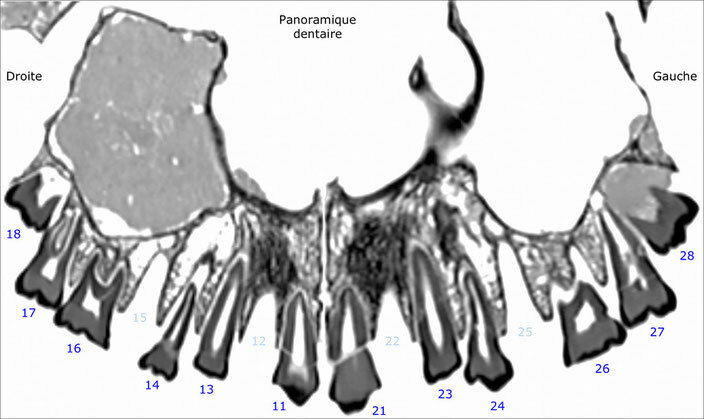 Panoramic thin slice of the maxilla to study the roots of the remaining teeth.